It’s the one time of year when the EMBL community gets together in one place to celebrate scientific achievements, the Laboratory’s unique spirit, and draw inspiration from friends and colleagues. 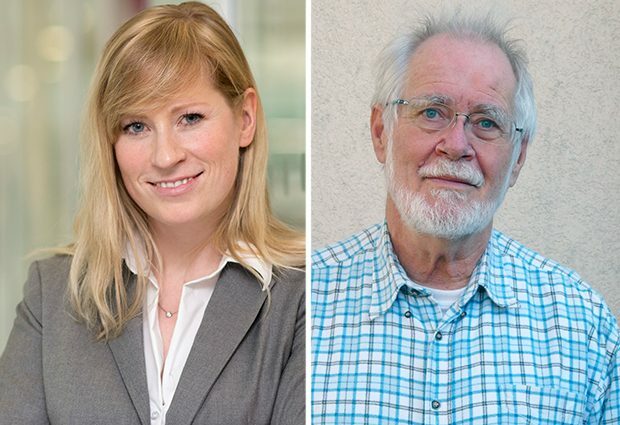 And one of the highlights of Lab Day, which took place on 10 July, is where EMBL celebrates the very special work of alumni through the John Kendrew and Lennart Philipson awards. We caught up with this year’s winners to find out more. As a child, alumnus Jacques Dubochet was scared of the dark. One day, nervously watching the sun disappearing over the horizon, he headed to his local library determined to find out where it went. “For me it was necessary to confront my fears with understanding,” explains Dubochet, winner of the inaugural Lennart Philipson award. Taking comfort in knowledge instinctively led him to a career in science, where his defining work came not from studying disappearing light, but disappearing water, developing a technique that revolutionised structural biology. For me it was necessary to confront my fears with understanding. Scientists, including Dubochet had already tinkered with a variety of methods to try and fix biological samples for observations in the electron microscope, but working as a group leader at EMBL Heidelberg in the early 1980s, Dubochet recognised that in order to preserve the natural structure of biological samples for measurement under the electron microscope, they had to remain in their natural environment – water. But to avoid evaporation in the vacuum of the electron microscope column water needs to be frozen, with ice crystals causing further hazards to delicate samples. So Dubochet set out to find a way of freezing water without producing any ice crystals. “Jacques had a vision,” explains Gareth Griffiths, incumbent Chair of EMBL’s Alumni Association, as well as a friend and colleague. “He found a way of freezing thin films of water so fast that crystals had no time to form. At first the idea of “vitrification” of liquid ice was dismissed, but overtime the technique has become increasingly important to life science research, and it is clear today it is Nobel Prize-worthy.” While other structural biology methods require extensive, complicated and potentially disruptive sample preparation techniques, cryo-electron microscopy enables the scientist to view the sample in its natural environment. It is central to the work of labs the world over, including several at EMBL, while cryoEM of vitreous sections (CEMOVIS), is widely regarded as having potential to become a powerful method in the future. “With a bit of chance it’s going to be trivial to see the atomic structure of protein complexes!” Dubochet says excitedly. Melina Schuh’s approach to science has been described as “fearless”. But dig beneath this steely description of this year’s John Kendrew Award winner and you find a story of outstanding research, fast-track career progression, and innovative outreach. In both my diploma and PhD, I tried something high-risk, high-gain and it paid off. 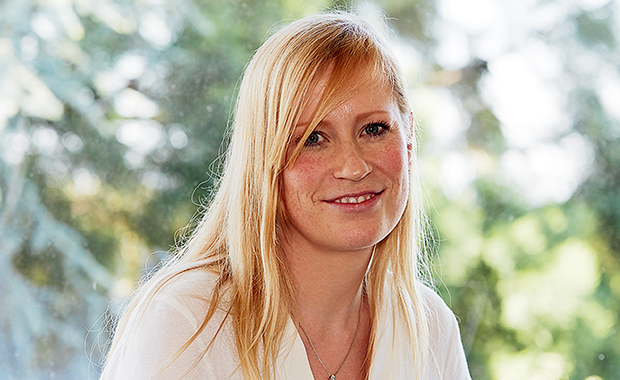 While carrying out her PhD in the Ellenberg group at EMBL Heidelberg, Schuh immediately hit the ground running, and using confocal microscopy established new ways of directly imaging meiosis in mammalian cells. “This was an ambitious project because these cells are very sensitive and meiosis in oocytes is a very long process – but the collaborative working environment at EMBL was hugely motivating,” she says. At the beginning of next year, Schuh will move on to the next stage of an already remarkable career, as a director at the Max Planck Institute for Biophysical Chemistry in Göttingen, where ambitious projects in science and beyond will remain at the heart of her work.